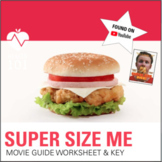 "Supersize Me" Movie Worksheet & KEY! WELLNESS/HEALTHY EATING RAPPING POEM; PAIR WITH "SUPERSIZE ME"
Here is an original 9-stanza rapping poem entitled "HEART ATTACK RAP". 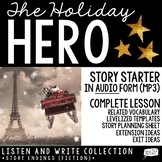 Use as a jumping-off point for teaching rapping poetry and/or a study of healthy eating or the digestive system. Use in conjunction with a viewing/discussion of Supersize Me. A 4-page worksheet with questions about the movie Supersize Me. 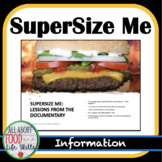 A handout to go along with the video "Supersize Me". 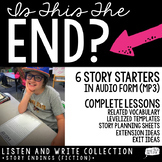 This worksheet will keep students engage while wathcing this video. Answers to the worksheet on the video "Supersize Me"